During a recent marketing campaign, we recieved a number of queries from WordPress.com users who are having billing difficulties. Since this appears to be a problem for a lot of people, we thought we would see if we could help direct you in the right direction! 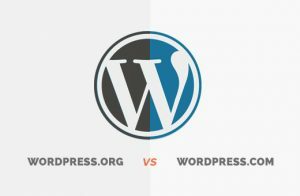 Did you know that there are two “versions” of WordPress? WordPress was originally launched in May 2003 by two gentleman, Matt Mullenweg and Mike Little as an Open Source project. Over the years, Matt went on to create a company called Automattic, which powers a commercial version of WordPress – called WordPress.com. When I say commercial, I mean that they sell and support complete hosted WordPress sites (among a lot of other amazing services). As such, Automattic charge for their services and if you have an issue with a WordPress.com site – you need to get in touch with their support (who are fantastic by the way). So, what is WordPress.org? Well, it is often called the “Free” version of WordPress or the “Self-hosted” version of WordPress. In a nut shell, this is a version of WordPress that is free to use under a GPLv2 license. If your website was setup by a local company or pretty much anyone other than Automattic, then this is the version you are using! So, how do I resolve my billing issues? If your site was built by anyone other than Automattic or hosted on a third party server (i.e. you pay an annual hosting bill to anyone other than Automattic), then you need to contact your website developer. Can you help with my billing issues? If your site is hosted on WordPress.com; No, I’m afraid not. However if your site is self-hosted, we may be able to help – drop us a line and we’ll see what we can do for you.